Fun game of mixed basketball. Once the ball has been tossed play begins, there is substitution every 4 minutes during the hour. Maximise your fitness each game while we pump up the volume! Each team has 2 subs. Payment is made online, preferably 1 week in advance. Loan jersey's are provided to new players to identify which team you will be on. Teams are designated and randomised by the event organisers. Teams are allocated before the game starts, your name will be on the scoreboard, Remember which colour you are on then grab a clean loan jersey from the bag and start warming up! Dirty loan jerseys dumped in the laundry bag before you leave. Jersey's come in S, M, L & XL sizes and can be purchased $35 cash at the game. These are reversible and is all the equipment you will need while playing with us. After 4 games you will need to purchase your own Jersey to continue playing. As a guest, every game you win will be counted as a 'Victory Point'. Only members can exchange these points for free games or other free stuff. 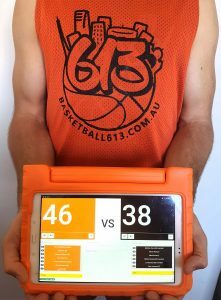 Players call fouls whether on offence or defence having honest calls makes the game go quicker. We do not have free throws, instead there will be possessions and automatic points awarded to the fouled team. 5 minute warmup and shoot around, 2 x 25 minute half times 2 Players substitute every 4 minutes from each team. Enjoy your first game with Basketball613!